Once again it is time to bring up to the present about our continuing work and life. Fall has arrived, we write from a different place; we have good things to say about what we have done; our family is spread out over three continents; and again we have made observations that we hope would interest you. Before I start with two things before giving you some of the details. Edith Schaeffer has lived with us in Gryon in her own rented flat for almost nine years already. She is medically well, unstable on her feet, but in no way, contrary to some rumors, suffering from dementia. Her short-term memory is bad; she is often confused about the days, but remembers things, times and people. Debby and I care for her and schedule some ladies to help us with it. She received much mail in the past and responded gladly. It was her contact with people. For the past few years mail has stopped and she has become lonely. This makes her sad. She does not hear even from people she worked with closest in the past, with only one or two exceptions. I request here that if you know her, you write her now and then. She answers whatever mail she gets. She regularly calls people on a list to stay in touch. When you write, address it to her @ Chalet Mon Abri, CH 1882 Gryon, Switzerland. She does not live in Huémoz; or call ## 41 24 498 1674. Clara and later Jane see that the mail is read (many times over to refresh her memory) over several days and also answered. We pay ladies to surrounds Edith all day long and into the late evenings. Debby and I have been able to find, with one disastrous exception, wonderful capable and helpful help who must agree with our philosophy of helping older people. Each of them has left enriched in their outlook on life, all continue to pursue studies and work in caring for elderly people. They also take part in our life, study our lectures and books and discuss ways of making life in general easier, keeping Edith’s mind engaged, her body healthy and her life active. All this has occupied us and been on our minds much of our time. It includes arranging for doctors, dentist, hair appointments, books to be read out loud and movies to watch, going to church 30 miles away, movies and concerts: giving Edith as full a life as a human being deserves and needs to keep the mind stimulated, the brain active and the body cared for. We have been able to weave all this into the rest of our lives, which include my teaching, lectures, seminars, writing and travels, and Debby’s teaching at the boarding school until this past June. The other item I want to mention is our current urgent difficult financial situations in the Foundation’s work. You may face similar times personally. You may be committed elsewhere. I do not want to weigh you down with our serious needs. But for those amongst you who can and want to help us now, there is an addressed envelope in this letter. Please use it, if you can and like to support our effort also financially, as you already do in sympathy, prayer and friendship. A tax-deductible receipt will be issued at once. Many people and Christian works are having hard times. Since I last wrote a letter a few months ago I have had the privilege of many teaching opportunities in America and in Europe. In late spring I spoke first in Southern California at such places as The Master’s College, the William Carey University, a faculty retreat for a Christian Community College. I preached in the Presbyterian Church in Orange and gave a lecture at the Simon Greenleaf Law School. In Eugene, OR, two lectures revolved around the subject of my book The Innocence of God as well as a talk on world view issues in relief and development questions. They all expose my somewhat startling study of the Bible’s view of God’s relationship to acts of men and the flow of history. One evening was a debate with a professor who held the determinist perspective of all things being from the hand of God. I attended a book presentation at a Barnes and Noble in Kentucky. Students at Wright University in Dayton, OH, asked for a lecture about tolerance and its limits, especially in the discussion about multicultural views. Good friends came together for a weekend of lectures and discussions in central Michigan. In between I returned to Kelso, WA, for a short time with former class mates to tell them about our work and world, then spoke for friends in Xenia, OH, with whom I had been in Russia so many times, and others a week later in Washington DC. After returning home I met with a group of young professionals in Geneva about historic Christian efforts to impact society, for which I chose specifically Wilberforce and the anti-slavery legislation in the late 18th century. I spent a week on a YWAM base above a Fjord in Norway to present a World View seminar, later used similar material for other classes outside Bern in Switzerland. In early July Debby, Isaac and I went to Mölle, where Staffan from Swedish L’Abri had organized a weekend conference on the central ideas of Francis Schaeffer. 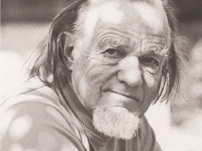 To see Francis Schaeffer only of past historic significance is to fall into the trap of current thinking that things have to be relevant even to the ignorant. By that I mean that the student is the client, who decides what is relevant for him or her. Without an introduction into a wider world and longer history, that student may not know what should be relevant to him as a member of the human race and partaker of the same history. Schaeffer’s teaching, in distinction to the illustrations used, is not dated, relevant only during Schaeffer’s life. Instead it gave a structure from the Bible and reality to much more than his own lifetime. Sadly it is relegated to be of only historic interest in recent years. Even people who claim to appreciate Schaeffer do this when they distance themselves from a concern about the truth of the universe and are more concerned about more personal truth. I fear that this is not a personal quest for truth, but a quest for private, immediate relevance, experience and affirmation. It represents a closing of the mind, a disinterest in being a human being in order to focus more on the immediate self. It is a focus on spirituality, on personal experience, on something more internal than the call to be holy as God is holy. It diminishes the awareness of a foundational framework of truth set forth in the Bible and confirmed by the real world around us. Of course it is impossible to know what Schaeffer would say today of anything; or with whom and what he would associate, and in what manner. Yet his central proposition that there is only one reason to be a Christian: that it is the truth of the universe, is central at any age. It has nothing to do with how I feel, what I see or what I am interested in. It has nothing to do with Schaeffer either; he did not hit upon that as something new. He merely restated it at a time when many people lacked the confidence that Christianity is truth. When faced with the truth of a real world, created by God, experienced in real history, each of us has an obligation to go beyond what we feel like doing in order to figure out what that truth is for anyone in the human race. And that truth should so transform us that we become eager to live it in daily life: in prayer and study, in work and leisure, in political debates, responsibilities and on the job, in the arts and in relationships. I am then no longer free or burdened to be only myself, to wrap Jesus around my life, concerned only about my priorities, my feelings, my wounds and failures. It was good to refresh our mind and memories of the lasting contribution Schaeffer’s insights continue to make elsewhere. Personally I have been so encouraged to find a continuing interest and appreciation in the circles I visit, as I did when I traveled in the past to odd and sometimes wild places. I met individuals whose lives had been transformed by the Lord, whom they understood better after reading Schaeffer without ever meeting the man. It was wonderful to refresh old relations as well, to meet former students of ours from Sweden and Norway many years later. We heard what their time with us, and the study of my early book Pro-Existence, has meant during so many years since way back then. Since I mention my first book, my latest book, the fourth: “Christianity versus Fatalistic Religions in the Fight against Poverty” is newly out and available. You can order it through your bookstore or on Amazon. In it I discuss the Biblical foundations of a view of the world that encouraged development, incentive and moral evaluation. Since all ideas have consequences in people’s actions, life and environment, I show the contrast between a Biblical view of the world and what is typically a fatalistic attitude in religions. That fatalistic outlook on life is a major, though by far not the only reason for poverty around the world. It is characteristic not only of religion, but colors the way people look at their situation in general. We find the emphasis to be on resignation, acceptance and submission in relation to nature, to government, to social structures of authority, to life or death, to traditions and the relations between men and women. Fatalism has at its core the belief that everything is normal, meant to happen, justified and deserved. Nothing should be reviewed, critiqued, questioned. One’s lot is one’s destiny, one’s calling and one’s place in the order of things. In the Biblical view creation is unfinished. We have mandates to invent, to create, to choose, and after the Fall of Adam and Eve also to repair, to improve. That is very different from alternative views, whether religious or secular, which typically tell people to submit, accept and make do with what is. The tension between what is and what ought to be does not exist on a level of personal responsibility in religions, whether of a spiritual origin or on a materialistic base, like in Marxism. In either case everything that takes place has its justification, needed to take place anyway, is inevitable. The Biblical view of life, laid out from Genesis to Revelation, is different. The apostolic teaching in the New Testament brought it to Rome, and when that empire disappeared the church carried it forward in deliberate attempts to free people from the earth, the forest and any tie-in with nature as origin. The Bible’s teaching is uniquely different for two reasons. The first was mentioned above: God created an unfinished world. Human beings are given mandates to create, to add to what God has made, to vary what is and to have dominion, to subdue, and to name the real world of nature. The second basis is the reality of dealing with what is now a fallen world, in which a repair job is required. Again, changing what has now become (un)natural into what should be cultured, to push for life in a world now marked by death; to replace the despair of Adam’s past sin with the hope in the present and future work of the Messiah. Much of the foundation of the developed world is grounded in what was initially comprehended from this Biblical view of things. That view comes to us from outside of what we see. It is found in a text, the Bible. It describes the real world in all its complexity and gives compelling reasons for struggling towards more humane cultures. It sees people as made by God and not from earth. When Abraham left Ur, he did not only move geographically. He also rejected the pagan notion that truth, purpose and will of gods is expressed in impersonal nature, in heavenly bodies and in the seasons of the year. Abraham believed God in heaven, not the forces of earth; that the mind of God is revealed in speech, words, a text communicated to give understanding to our mind; and in seeking a purposeful life of history rather than submitting to natural cycles that roll to a gradual death like the wheels of fate. Others can also cite a text, some even claim theirs is from a transcendent source: from god in Islam or from “History” in Marxism. Yet their texts do not show enough correspondence to verifiable history. They do not reveal the tension between what is and what ought to be and fail to give creative mandates to individual people, honor to human beings and value to work, the rule of law, to justice and to life itself. The Bible uniquely stresses the nature of truth to be not found in blind obedience, but in a discovery of the relatedness of all factors, starting with God being there as Lord and creator. Further supporting relationships are between things and people, reason and evidence, description and history of time and space, text and comprehension. After vacations on the beach, with about 50 books in our bags, and near the families of two of our daughters in the middle of July we all prepared during August for a busy autumn ahead. Isaac went through all the shots and immunizations that his Junior Year Abroad program of George Washington University required for Africa. As you read this he is in Kenya, living with a local family, first in a village with neither running water nor electricity, then in Lamu and later in Mombasa. He follows intensive courses of Swahili, studies African cultures and political life, has worked in a dispensary and taught in a village school. Debby finished her teaching at Aiglon after she was offered only half the salary for the same amount of work for this year. She very much misses the children, her students and others, and worries what the changes in the school will take away from their experiences away from home and their education. We also said good-bye to Kaye, who has lived with Edith for the past year. Another lady will come in October for three months, before Jane returns for a year. Jane was the first women we hired to help us with Edith, and she has offered to return. Kaye has been a wonderful help, creatively helping Edith to be well, active and safe. She has worked well with us, sharing our and Edith’s doctor’s view of what an older person needs beyond love. For that is the minimum, what we should in any case all give to our neighbor. But Kaye also studied what the body and the mind need at any age, not giving in to the suggestions that an older person’s central need is happiness. That is one need among many others. Food and drink, stimulating conversation and exercise are equally necessary. It is not a matter of either/or. They are not mutually exclusive. Without them we will not be happy in any case, when our bodies fail us, when strokes tie us to the bed, hinder our speech and take away the ability to enjoy life, memory, conversations, books and music. I used the weeks also to prepare for the courses I teach at The King’s College in New York this semester and next. I was able to arrange a compacted schedule of 9 weeks instead of 16, so that we would not be away from Edith for too long. We will return again for the spring semester in early January and stay until the middle of March. What a great pleasure it is all together to teach Culture and Aesthetics to College Juniors, designed to use New York’s many resources as backdrop for developing aesthetic sensitivity. The course is part of the Politics, Philosophy and Economics major the school offers. Aesthetics is about beauty, but also about goodness and justice. It seeks to challenge students about the How, why and in what of beauty, which needs to be studied and tasted, lest we walk into life merely on the basis of personal likes. It is a contribution to the moral and aesthetic development of a person. Aesthetics is a part of philosophy that touches every area of life, it deals with our deep longing for a hint of the things God had in mind when he looked at creation and called it good before the Fall. We long for order, permanence, harmony, love, peace, and resolution after tension, etc. These are at present always in short supply. We build houses, paint pictures, write poetry and prose, compose music, design fashions and machines and use words to get a point across. In the course we discuss the forms of persuasion rooted in the human capacity to perceive beauty and ugliness. We want to learn how aesthetics both reflects culture and serves as a powerful means for instigating cultural change. I lecture, visit museums, walk past and into impressive buildings, attend free concerts and watch Babette’s Feast and From Mao to Mozart with Isaac Stern with the whole class. I assign papers, which we then discuss. I just finished reading 550 pages of midterms from the 47 students in the class. The second glass is designed by me and uses literature and films to discuss world view issues, both from a supporting as well as from an opposing perspective. We read Camus’ The Stranger and The Just Assassins, Ian McEwan’s Atonement, Lively’s Consequences and Judgment Day and long parts of Homer’s Iliad. We watched and discussed Atonement, Wit, Stranger than Fiction. The questions we addressed were about life and death, human beings and the machine or scientific reductionism, Christianity and fatalism, the individual and authority, God and history and the praise and limits of honor, obedience and calling. We watched the election debates with them. The quasi-Messianic promises of one arouse heightened expectations from, and makes similarly unfulfillable promises to the public. How can a person promise a world healed of its wounds, including the bringing about of favorable attitudes of other countries towards the US, within 4 years? The alternative presents a narrow, often angry point of view, in part as the consequence of Christian idealism, which holds that nothing less than perfection is acceptable in a candidate. And neither candidate dares to tell the wider public that they, not just the other side, have to shape up? We have all lived beyond out means, and yet each candidate still promises the fulfillment of a dream. The whole thing is carried out like a golden glove boxing competition of past generations. Give punches to see who falls, not reasons grounded in facts to see who has the better arguments. Let the crowd be entertained, not informed. It is quite depressing and worrisome. As we come close to the day of the election we debate as if it did not matter that we live in an increasingly dangerous world. Between fine speeches with undefined content of what that change into a dream would look like and retorts with thin moral reasoning and lacking compassion the choice is difficult, yet it must be made. After the election we hope the restraint of wrong choices will be effective through the balance of powers. Another election in two years may prevent too great a deviation in policies. I wonder why there is little discussion of policies that would not at once fit into either socialistic or capitalist categories. Human beings should never be constrained to decide only between the alternatives someone else presents to us. We must always reserve the right to differ with both, to take some from one side and some from the other, or to come up with a concern that neither has dealt with previously. I am a free Man, a child of God, and as a Christian should be able to startle the capitalist/libertarian and the socialist. A concern for social realities, seeking ways to limit the unashamed greed of those who assume an entitlement resulting from market conditions, is not socialism. When the mask of Christian personalism (i.e. the right to private property, a “laborer is worthy of his hire”) is removed Darwinian ethics will appear (the logic of the survival of the fittest). On the other side we need to startle the socialist with an insistence on individual responsibility, that things only get done when an individual ‘caput’ (lat: ‘head’) sets his mind to it. Goods can only be shared when a surplus in private property has previously been created. Every family is a social enterprise. It is neither capitalist nor socialist in nature. Adults work to share a life with unproductive children until they can support themselves, and with retired elders, widows and orphans, who are too frail to make a living. At both ends of our life are we dependent on others. This is not a matter of charity alone, but requires an acknowledgement of facts. I am not bringing up something new, merely reminding ourselves that socialism and capitalism as they are perceived in the wider public are aberrations from the truth. Over the past generation we seem to have lost the dimension of shame for wrong doing. It certainly has become easier to escape the experience of shame when we no longer live in the public eye. Sure, we are no longer hung in a basket above the street to be laughed at, mocked and pelted with tomatoes as judgment for wrong done. But even modern expressions of shame have been lost, following the abolition of the notion of true moral guilt. Many no longer consider a crime immoral, even if they still consider it illegal. It was just stupid to get caught. I wonder at times whether that is connected with the privatization of God and Jesus, with too many personal views about them, including faith. Everything takes place inside, in my heart, my emotions, my personal convictions. And with the focus on ‘me now’, which, I add, is also part of the move into new neighborhoods, gated communities to escape income diversity; and consider what effect the removal from reality of a future history, i.e. the world our children will inherit, has on exerting a control over our present actions. Is there no fear of the Lord anymore? Are we not afraid of what our children will charge us with? Thoughts like these and then some I am able to weave into my lectures and discussions, which are consequently lively, provocative and in the end helpful. The students are mostly a great and pleasant surprise for me. They participate, do good work and research, argue their cases well and show their enthusiasm in their attendance and alertness. The contrast to the last years at the old King’s College ten years ago is evident. Students love the city as a statement of gathered humanity, of creativity, of imagination, interlocking skills and mental and manual stimulation, of competing efforts, of a neighborhood where “Man in the image of God” is in your face. So is the brokenness of our existence after the fall. But I do not see the city as a statement of rebellion, of ganging up against God, as Jacques Ellul suggested in his book The Meaning of the City. I believe he was mistaken in that view, failing to see that God brought about salvation in Jerusalem, not from her. We wait for the heavenly Jerusalem to come down from heaven. Our citizenship is attached to a city, not the countryside. Only the romantic mind seeks the divine in every bush and stone, wants to leave the city, an expression of rational man, and surround itself with a supposed divinity in nature. There is plenty of such romanticism in our heritage. William Blake’s poetry speaks against the rise of industry, as do some of Turner’s paintings, which try to catch the sublime behind nature’s power in paintings of the smallness of Man, compared to huge mountains, deep cavities, wild weather. The flight from loud neighbors to the silence of the hills, from old neighborhood to new ones; a substitution of church with the Sunday morning drive, the love of wilderness instead of civilization: they all often exhibit a tiredness with neighbor, whom we are to love and serve instead. Debby and I shall be back in the middle of January for another nine weeks. That term I shall teach a course on Philosophical Apologetics and another one on Modern Philosophy. My Colleague in that department is Dr. Peter Kreeft, who will have prepared the students with Plato and Aristotle this semester. I shall start with Descartes and treat Hume, Kant, Nietzsche and philosophers of the 20th century. The connection with the movements in music and the arts at the same time will be a tremendous help in my attempt to make the study of philosophers relevant and lively. We will also be available to do a few things over long weekends, to speak here and there. One conference is already planned for the end of February in Grand Rapids, MI. We also hope to descend into Texas at some time. And we shall spend much time together, enjoying what we are meant to be. Next summer we will once again have a study session in Switzerland at our home. A number of students will be there for two weeks between the end of May and about the 10th of June 2009. If you are interested to join us then or just after, please contact us at the address on top of this letter. We spend the days in individual morning study of taped lectures from L’Abri by Dr. and Mrs. Schaeffer as well as on Biblical and cultural subjects. There is an extensive library as well. Both lunch and dinner are times for conversation and discussion on questions relating to the studies. Lectures, Bible studies and table discussions during the meals in our home give a variety of settings to understand the unique coherence, beauty and hope of the Bible. The only reason to be a Christian is that Christianity is true to the real world. It involves an acknowledgment of what can be known and is true objectively about God, creation, the human being, the real world and our basic human predicaments. We consider of course the interests and questions of the students here at any time, but also bring together the roots of Biblical Christianity, its cultural impact through the centuries, the effects of both Reformation and the later counter movement of the Enlightenment. We are concerned about the current debates of post-modernism and multi-culturalism. We are troubled enough to question the techniques of church growth, spirituality and the effect of the Disney mentality, which we find makes the understanding of historic Christianity less plausible to modern society. Students study and sleep in a chalet across the path from us, actually an old wooden farmhouse from 1682. With a kitchen in each flat and showers it gives the warmth and comfort of an old Swiss chalet. But about half the day is spent in our home. Saturday is a day off for your own use. The cost for everything is 45 Swiss Francs per day/person and the US $ amount varies according to exchange rates. You must decide how much you will need for personal expenses on top of that. You should bring casual clothes and comfortable shoes. For people from Southern regions it can be quite cool and/or rainy at times, even during the summer. But when the sun shines we often eat out-of-doors. Let us know whether a time with us would interest you. Of course you are not required to agree or to sign anything. The only request is that you are interested to discuss those urgent and central questions human beings have always grappled with out of a desire to consider the answers given in the Biblical perspective as the Truth to Man and real to the world we live in. It has been a pleasure to have you get a glimpse into our life and work. I hope to hear from many of you. For now, I send our warm and personal greetings to you. Please use the enclosed envelope to send your support and gifts.